The time has come for me to say goodbye to Vail and my mountain adventure. 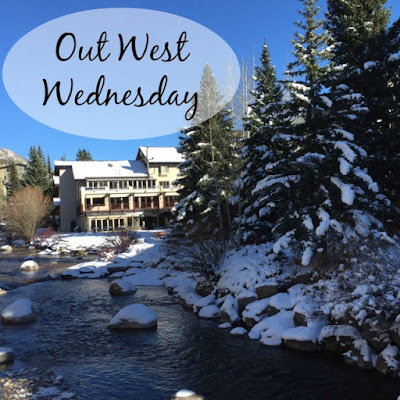 It's so crazy that two and a half years ago I wrote my first Out West Wednesday post and now they're coming to a close. I have absolutely loved every minute of my Colorado life, but honestly this winter has been really hard. I knew when it was time to leave I wanted it to be with good feelings and I just don't have it in me for another winter. I'm homesick for the South; that's probably something that will only make sense if you've ever moved across the county. This time next week I'll be packing my jeep to move to Dallas, Texas! If you're a long time reader you might remember Dallas was one of the places I originally thought I wanted to live after college, so this move really feels like everything is coming full circle. I think I always knew I'd return to the South to make my forever home and now feels like the right time. I'm obviously sad to leave my dream job, and if we're being honest I'll probably cry 5 times on my last day, but I'm really excited about my new job and this new adventure. If you follow me on instagram or twitter none of this is probably big news to you. I've hinted at my move a few times and even documented a little bit of my apartment search last week in Dallas. If you're not already, make sure to follow along with all my moving adventures! Also if anyone has any good Dallas recommendations send them my way!